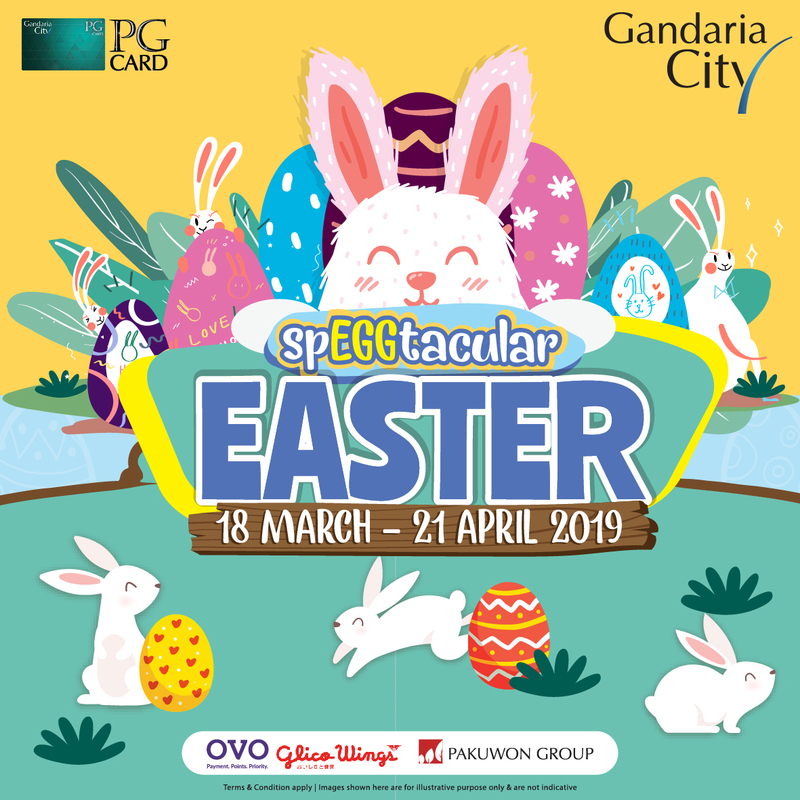 In celebrating Easter, Gandaria Ctiy presents Everyday Shop, Play and Win from 18 March – 21 April 2019. In this program, customers who have spent IDR 500k (IDR 350k with OVO) will can redeem one egg at the Vending Machine by Easter Redemption Booth on Mainstreet Ground Floor with a chance to win Samsung Galaxy Note 9. In addition, Easter Egg Decorating Competition will take place on 20 April 2019 at Mini Parquet on 1st Floor, where the winner will receive Lego City Playground Vouchers. Also, for social media lovers, there is a game on Gandaria City’s Instagram called EGGStergram, where 3 winners will receive Samsung Galaxy S8 and Samsung Wireless Charger. For those of you who like shopping, SpEGGtacular Activities offers a variety of Kids product with Easter theme from 25 March – 21 April 2019 on 1st Floor (in front of Sony) and 2nd Floor (in front of Agabang).